Ms. Saito, a distinguished quilt artist, teacher and author in Japan, is most often known for her beautiful quilt designs. In fact, she is a master at many different handwork crafts. 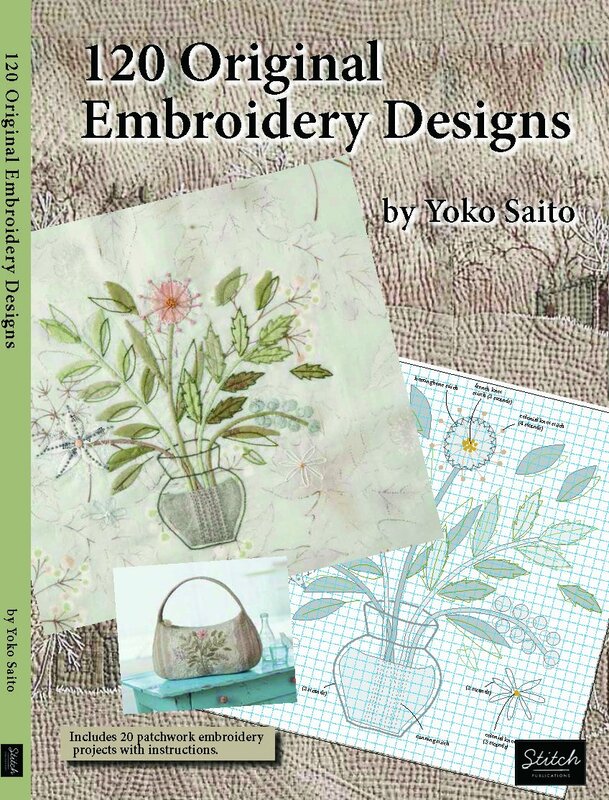 In this book, Ms. Saito has created embroider patterns for 120 original designs. She often combines the embroideries with appliqué and quilting to create what she calls “patchwork embroidery”. Like all of her work, these designs are equally detailed and unique. In addition to the 120 embroidery designs, she includes 20 “patchwork embroidery” projects that include bags, wall hangings, keepsake boxes and more.